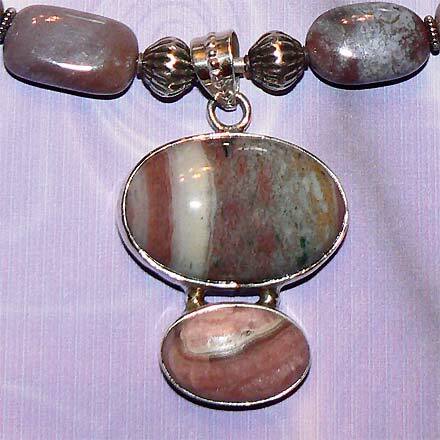 Sterling Silver Fancy Jasper and Rhodochrosite Necklace. See Closeup. 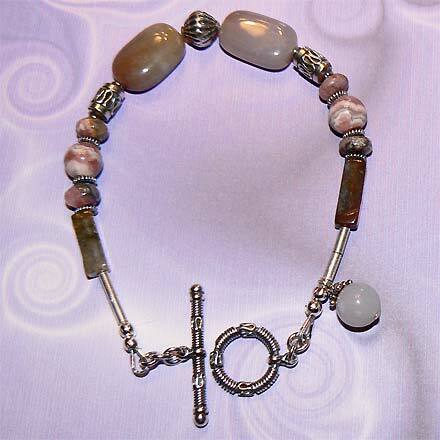 Sterling Silver Fancy Jasper and Rhodochrosite Bracelet. 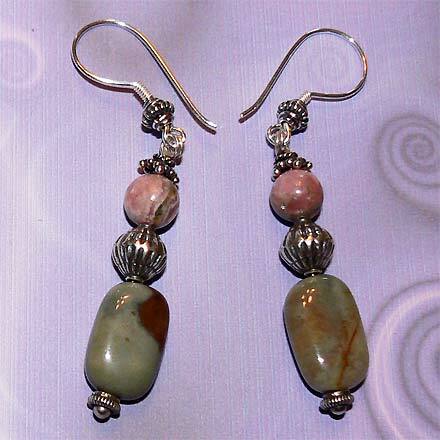 Sterling Silver Fancy Jasper and Rhodochrosite Earrings. 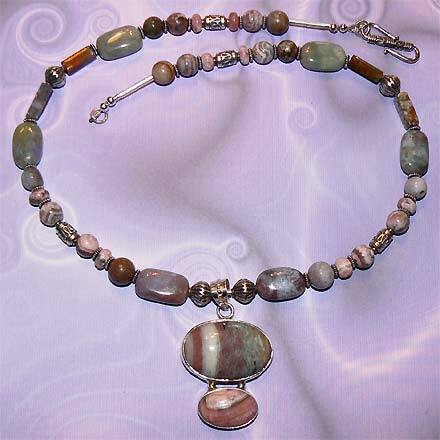 The Jasper stone in the pendant was identified as "Oregon Jasper." I'm not sure if that is the actual name of it or if that's actually where it originated or just a sort of descriptive term. Both stones, the Jasper and the Rhodochrosite, remind me of pictures of planets stretched into oblongs as opposed to spheres. I used Fancy Jasper/Agate and Rhodochrosite beads throughout, for a very interesting color combination of pinks and greys.